To my knowledge, the incident was first reported by popular blogger Zoso, who also included an audio recording of the said part of the show. It quickly spread and became viral in Romania, setting the Radio Zu team into “damage control” mode ever since. The DR Congo players and coach were not the only targets. The Radio Zu FM hosts said about France’s national team that “it does not abound in French players, so the game [against France] will be no different than the game against Congo”. Below are some of Buzdugan and Morar’s musings on live national radio, on Thursday 26 May 2016. They are captured from another popular Romanian site, Paginademedia.ro, specialized in media coverage. My translations in blue. Noi îl avem pe Father Chicken, ei îl au pe Father Monkey. We have Father Chicken (a derogatory nickname of Puiu Iordanescu, Romania’s coach), they have Father Monkey. Cei din Congo au venit cu 8.000 de maimuțe, au fost susținuți de 8.000 de maimuțe. Congo travelled with 8 000 monkeys, they were supported by 8 000 monkeys. 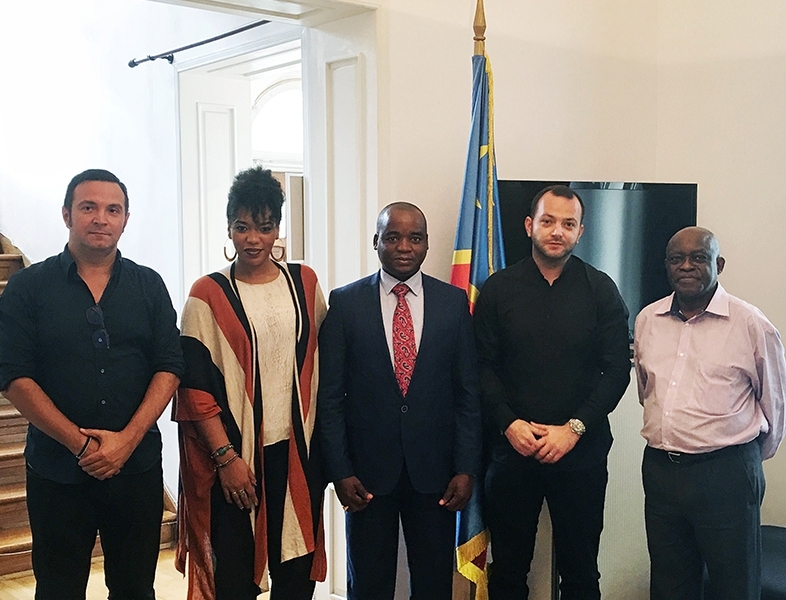 Galeria lui Congo se cheamă Coadă de maimuță. La intrările în stadionul unde s-a ținut meciul cică era o coadă de maimuțe, n-ai văzut așa ceva. Congo’s supporters are named “Monkey tail”. At the gates of the arena there was a line (tail) of monkeys. Care e diferența între antrenorul nostru și cel din Congo: Tata Puiu crede în Dumnezeu, antrenorul lui Congo crede în Cimpanzeu. What’s the difference between our coach and Congo’s: ours believes in God, Congo’s in Chimp. Au jucat cu gorilienii, practic. Să faci 1-1 cu gorilienii nu-i de ici, de colo. Ăia au mușchi, se ascund prin copaci… Romania played against gorillians. 1-1 against gorillians is a good result: those ones have strong muscles, they hide in trees. Am vorbit cu Nea Puiu, cu Father Chicken și l-am întrebat: tătuțule, ce s-a întâmplat? Buzdugan, știi că eu fac alergie la maimuțe. El nu suportă maimuțele. I talked to Ol’ Puiu (Romania’s coach), with Father Chicken, and asked him: what happened, gramps? Buzdugan, you know I’m alergic to monkeys. He can’t stand monkeys. Morar (a father of two young girls) and Buzdugan are not strange to controversy. Among others, they were taken to court for copyright infringement and are accused by many for stealing their materials, particularly radio pranks and comedic stuff which they use on their radio show. Racism is not tolerated in Romania, and by all means what the two Radio Zu hosts did was a shameful first in Romanian radio. The scandal resulted in dozens of complaints against the couple. Decisions are pending at the time of publishing. Posted in English blog and tagged as buzdugan, Congo, featured, FM, football, morar, racism, radio, Radio 21, radio zu, Romania, soccer, UEFA 2016.